Charley is the only kid my age living at the base, and I can’t decide if he’s interesting or creepy. The day he knocks on our door to introduce himself, he teaches me War—not the boring card game my little sister Gillian likes, but Charley’s design. Creatures are our soldiers. Using his mother’s pasta strainer, we wade in the stream and catch a heap of tadpoles. 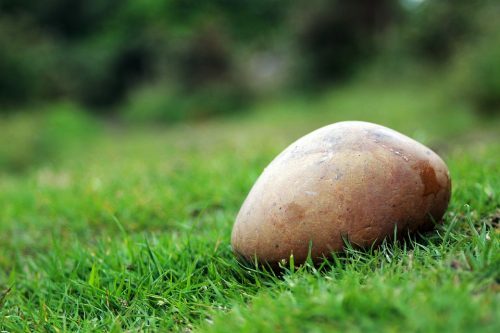 Charley dumps them on the grass, then lifts a rock high over his head. The rock is thick and streaky like a steak. I jump backwards when Charley drops it. “Hiroshima,” he says. He picks up the rock to count casualties. The tadpoles are flattened discs. They look like sticky M&Ms. Only one tadpole survives. The tip of its tail is mangled like a utensil Dad doesn’t see before he turns on the garbage disposal. But the animal is otherwise intact. “Radiation exposure,” Charley says. “Even if he makes it through the next few days, he’ll die later of cancer.” He smashes the tadpole beneath his sneaker. “It’s the humane thing to do,” he adds. I know not to tell Mom about War when she asks me if I had fun playing with Charley. I say, “Sure,” and I go to my room, which is stacked with boxes I haven’t unpacked. In one box is a framed photo of me and Ruth in matching Wonder Woman costumes. I haven’t seen her in nearly a year, not since her dad died in Afghanistan and she and her mother moved off base to live with Ruth’s grandparents in Detroit. When I told Ruth that my cousin Anna didn’t find out about death until she was nearly ten, Ruth was incredulous. “How is it possible to live in this world and not know about death?” That was before her dad died. I shrugged and said that my cousin’s parents weren’t military. Anna lives in a rich suburb of Chicago. Her parents were determined for her childhood to be “untarnished.” Or that’s how Mom put it when she complained to Dad about my cousin explaining that her dead hamster was merely sleeping. “That’s the one about the pig?” Dad asked. Mom’s different now, since we relocated to North Carolina—more specifically, since Dad was redeployed. Ours is the only house on the street without a flag. When I asked her why, she shook her head and muttered something about true believers. I suspect what she feels regarding Aunt Holly these days is closer to envy than contempt. The Hiroshima rock produces the most casualties in a single blow, but I bet Mom would be more upset watching us play Vietnam. We use a magnifying glass to set ants on fire. “Napalm,” Charley calls it. The Morton’s salt we shake on three banana slugs is poison gas. It’s 1917, and the slugs cower in the trenches, too shell-shocked and disoriented to fasten their masks. But that was before Ruth’s dad. That week, after the news came, Mom’s vegetable garden dried up like the insides of the ants she’d poisoned. She didn’t even bother to harvest the last of the tomatoes. They browned and wrinkled on the plants’ withered stems. They looked like the bindles cartoon hobos prop onto their shoulders when they leave town. Or worse: the day we turn a fat grub into a suicide bomber by rubber-banding it to a firecracker. I’m the one who lights the fuse and drops the grub onto a pile of earthworms. Because suicide bomber is my idea. Because that’s how Ruth’s dad was blown up. Other times I think War is just Charley and me hardening off, the way Mom used to gradually expose seedlings she grew indoors to the “elements”—harsh sun, dry air, cold nights. The plants had to be introduced gradually, she said, so they’d become hardy. So they’d survive. Kim Magowan lives in San Francisco and teaches in the English Department at Mills College. Her novel The Light Source is forthcoming from 7.13 Books. Her fiction is published in Bird’s Thumb, Cleaver, Corium Magazine, The Gettysburg Review, Hobart, New World Writing, and many other journals. Find her on Twitter at @kimmagowan.